I saw this unusual clock at a shopping center in Springfield, PA today. Is it a piece of art, or is there an actual benefit to this clock over a regular 12-hour clock? 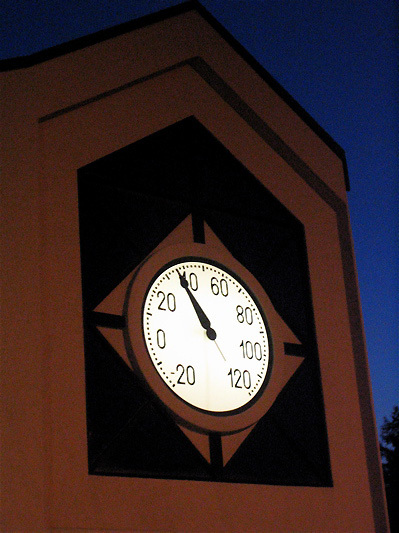 The photo was taken at 5:48, so the clock's at least a few minutes slow.